Mount Washington and Allentown are hilltop neighborhoods in the southern end of Pittsburgh. While Mount Washington has long been a popular destination for tourists, thanks to stunning views of the city, Allentown hasn’t always been as heavily trafficked. But that’s changing as the working-class neighborhood’s business district has recently been revived with new startups, shops and cafes. 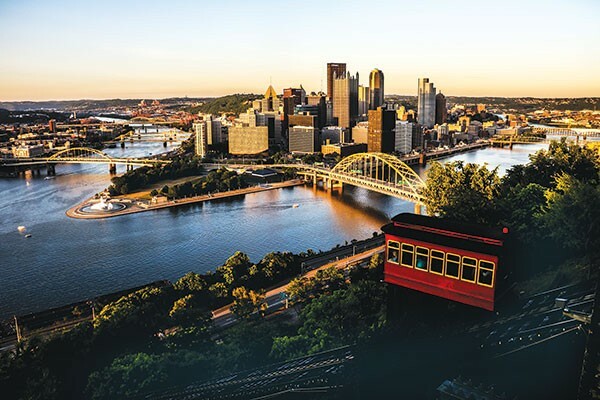 Whether it’s the Monongahela Incline (5 Grandview Ave.) or the Duquesne Incline (1220 Grandview Ave.), a visit to Mount Washington must include a ride on one of the city’s two remaining inclines. Both take riders up to Grandview Avenue, but choose the Duquesne, if you’re looking for fine dining like Monterey Bay Fish Grotto (1411 Grandview Ave., 412-481-4414). 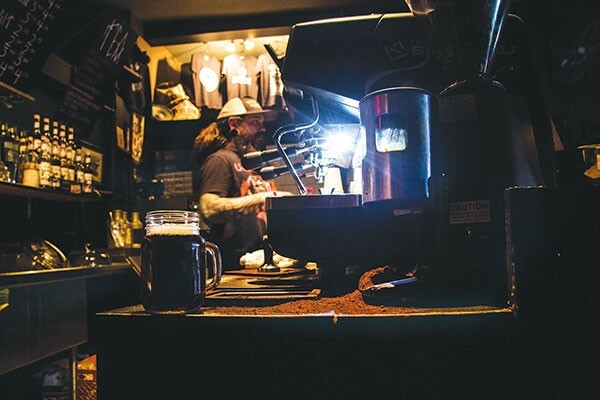 The Monongahela will take you up to Shiloh Street, where you can find more affordable bars and restaurants like Shiloh Grill (123 Shiloh St., 412-431-4000). If you’re there on a Tuesday, make sure to check out bacon night. If you’re in the mood for a relaxing experience, try the Zen Den (10 Boggs Ave., 412-589-9119), a massage-therapy and wellness destination. And before you make your way down the mount to Allentown, walk some of Emerald View Park’s 10 miles of trails, or try the whole thing, if you’re game. 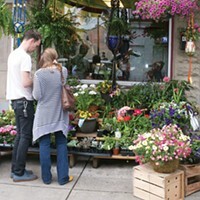 Down in Allentown, you’ll find new unique shops and restaurants on Warrington Avenue. Looking for breakfast (or lunch)? Try the newly opened Breakfast at Shelly’s (740 E. Warrington Ave., 412- 245-6785). The Ty’s fries (french fries smothered in cheese sauce with jalapeños and crispy bacon) are already a favorite with locals. Also keep an eye out for pop-up brunches from Sweet Peaches, a catering company with limited hours at their café (639 E. Warrington Ave., www.eatsweetpeaches.com). And if you have time, stop into Spool (816 E. Warrington Ave., 412-481-1985), a fabric-and-sewing store that also offers classes, events and workstations.